When local garden clubs come together to adorn the historic Tower Grove Home with handmade holiday decorations, the resulting Victorian motif is so stunning and inviting it'll have even the most zealous modernists rethinking their seasonal decor. Englishman Henry Shaw came to St. Louis in 1819 when he was 19 years old and sold hardware along the riverfront before moving into property management and lending, too. “He made a massive amount of money,” says Missouri Botanical Garden Historical Interpretation Specialist Tyler Nowell. Shaw used some of it to travel — mostly through Europe, where the Kew gardens in London inspired him to grow something similarly striking back home. Shaw already owned a chunk of farmland on what was once St. Louis’s countryside, and shortly after building his Tower Grove house in 1849 – a personal reprise from hurried, downtown living – Shaw developed the surrounding Missouri Botanical Garden. “We’ve been open since 1859,” Nowell says. “And,” he adds, “the property was always open to the public and intended for people to enjoy.” When Shaw passed away in 1889, his will stipulated that the garden director should live on Garden grounds. Shaw’s house, then, became the director’s residence, and William Trelease lived there with his family for about two decades. “During that time, the house saw some pretty big changes,” Nowell says. An east wing erected as servants’ quarters was torn down and reconstructed to bring in water and gas; developers also added square footage to accommodate Trelease’s family. Near the end of Trelease’s tenure, a new director’s residence was built, and the Tower Grove Home was briefly used for educational classes before being converted into administrative offices in the 1930s. 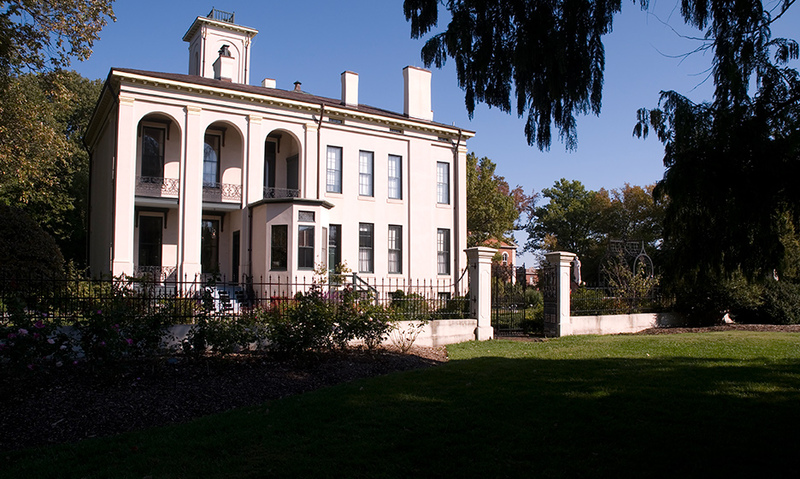 “Finally,” says Nowell, “in the 1950s the idea came to restore the home, and reopen it as a historic house.” Today, the Tower Grove House has found new life as a public museum, and the space –included with the cost of admission – is open to visitors April through December, Wednesdays through Sundays, 10 a.m. to 4 p.m. 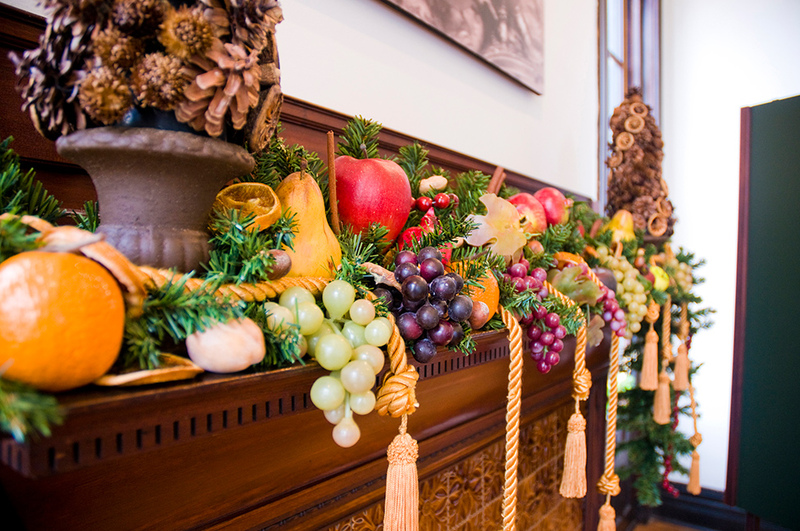 The holidays are certainly the home’s most bustling time; guests come in flocks to ogle traditional furnishings and décor, November 18 through January 3, after local garden clubs have divvied up the rooms and adorned them with their own interpretations of an annual theme honoring the house’s Victorian roots. “This year’s theme is Victorian homemade Christmas,” says Nowell. He’s always excited to see what the garden clubs come up with. This year, he says, “Many are using high-quality faux plants and food from local garden shops.” (Real plants and food are off limits.) The decorators are encouraged to draw from the Garden’s extensive collection of Henry Shaw furnishings, too. 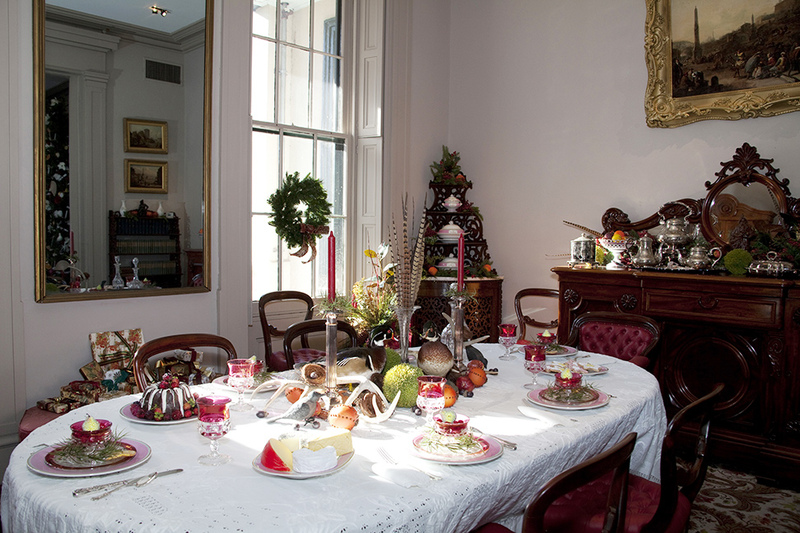 “About 80 percent of what is on view in the house are Shaw pieces; the rest would be period appropriate objects that have been donated to the Garden over the years,” says Nowell, citing everything from antique furniture to authentic plates, serving trays and silverware. 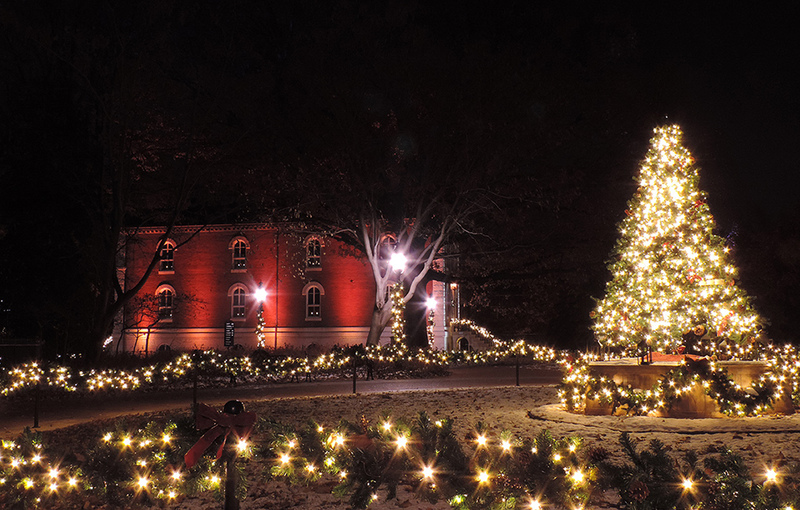 In-house staff and volunteers - Nowell included - lend a hand, finishing the space with evergreen wreaths, and lighting up exterior trees for the third annual Garden Glow, which features more than a million lights amid some of the Garden's most iconic locations.